Genetic variants linked to intelligence and educational attainment found to be associated with larger total brain volume, stated new study led by a researcher from the Barcelona Institute for Global Health (ISGlobal), a centre supported by "la Caixa", which analysed data from a large paediatric sample. There is only scant scientific evidence available on whether the genetic risk for developing specific psychiatric disorders or cognitive traits is manifest in brain structure from childhood and, to date, studies have focused primarily on adult populations. The question remains unanswered. New evidence has now been provided by a study led by a researcher from the Barcelona Institute for Global Health (ISGlobal), a centre supported by "la Caixa", which analysed data from a large paediatric sample. 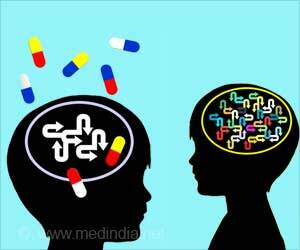 The study, which has been published in the Journal of the American Academy of Child & Adolescent Psychiatry, analysed data from a sample of 1,139 boys and girls aged 10 years drawn from the Dutch Generation R Study cohort. Using polygenic risk scores based on genetic data, the authors calculated each participants' genetic susceptibility to five psychiatric disorders and two cognitive traits. The polygenic scores were calculated on the basis of the most recent findings of genome-wide association studies obtained from samples including thousands of participants. Regression analysis was used to test for associations between the polygenic risk scores and the results of magnetic resonance brain imaging. The results showed that total brain volume tended to be larger in the children with higher polygenic scores related to intelligence or educational attainment. By contrast, in participants with higher polygenic risk for attention-deficit hyperactivity disorder (ADHD), the volume of the caudate nucleus, one of the structures that make up the brain, was smaller. ISGlobal researcher Silvia Alemany, lead author of the study, comments: "This finding is significant because, while the association between ADHD and a smaller caudate nucleus is now considered to be a consistent finding, the mechanism involved is still poorly understood. Our findings in this study indicate that the association could be explained by genetic variants related to ADHD". The analysis showed that morphological differences in the caudate nucleus could, in part, explain the association between genetic risk for ADHD and attention problems in boys; however, this association was not observed in girls. "ADHD is more prevalent among boys than girls and the reasons for this difference are still being investigated", explains Silvia Alemany. Polygenic risk was calculated for five psychiatric disorders: ADHD, autism spectrum disorders, schizophrenia, bipolar disorder, and major depression. ADHD was the only condition found to be significantly associated with the volume of any part of the brain. "This study was based on data collected at one specific point in the lives of the participants" explains the lead author. "More research is needed involving measurement of the brain over time to determine whether the polygenic risk for psychiatric disorders or cognitive traits is related to changes in developmental trajectories." New study examined whether prenatal exposure to valproate was linked to a higher risk of attention-deficit/hyperactivity disorder (ADHD) in children. Scientists at CHOP use a digital medicine tool as an investigational treatment for children with autism and co-occurring ADHD.